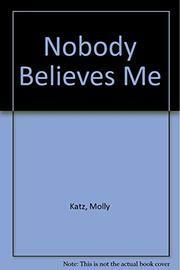  Former stand-up comic Katz spins a debut tale of suspense in which a career woman is stalked by her former lover. Lynn Marchette has refined her East Tennessee background to become the host of a popular Boston television talk show bound for national syndication. The only vestiges of her underprivileged past are her toothaches (rooted in poor childhood dental care and the cause of her dependence on Excedrin and Valium) and her inability to reward her ``unentitled self'' with a worthy mate. When Lynn abruptly ends a whirlwind romance with the charming Greg Alter, whom she met on a California business trip, her close circle of friends is convinced that she is throwing away another good man or is reluctant to let herself accept the success she deserves. None of them will believe that there is anything sinister about Greg's prurient language or his gifts of obscene lingerie and a fluffy toy raccoon exhibiting symptoms of rabies. She finally consults one of her TV guests, Detective Mike Delano, who diagnoses Greg's behavior as pathological harassment and predicts that Greg will pursue Lynn until he has gained control over her. Lynn's friends do not trust Mike, whose eagerness to help is suspect. They find his diagnosis to be unfounded and try to reconcile the couple when Greg contacts them, assuming Lynn's familiar problems to be the source of her delusions. Lynn is left virtually alone as Greg systematically terrorizes her, his strewn Tums wrappers the only clues left behind. It is understood that Greg's pattern of stalking is nonviolent, so the suspense is not primarily Greg's pursuit of Lynn but the possible loss of her personal relationships and the damage to her rising career and celebrity. Terror for the Cosmo girl--Katz does an extraordinary job of disguising pivotal clues in seemingly frivolous details, fashioning a pulp story into an absorbing thriller.